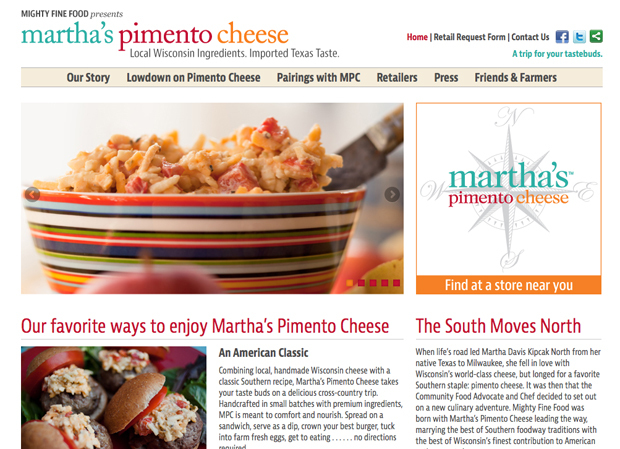 When community food advocate Martha Davis Kipcak approached us to develop a website to help introduce Martha’s Pimento Cheese we were thrilled. The most delicious photo shoot ever had us happily devouring MPC every which way. Check out the Locations section of the website to find out where you can pick some up in your neck of the woods. We’re partial to the jalapeño option which has just enough kick to warm you up on a cold day.